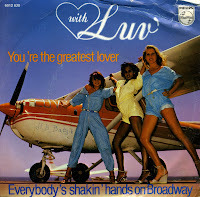 'You're the greatest lover' is Luv's signature song. Originally released in July 1978, it reached number 1 a month later. The trio was at the height of their popularity in the second half of 1978, when also their next single 'Trojan horse' became a number 1 hit.